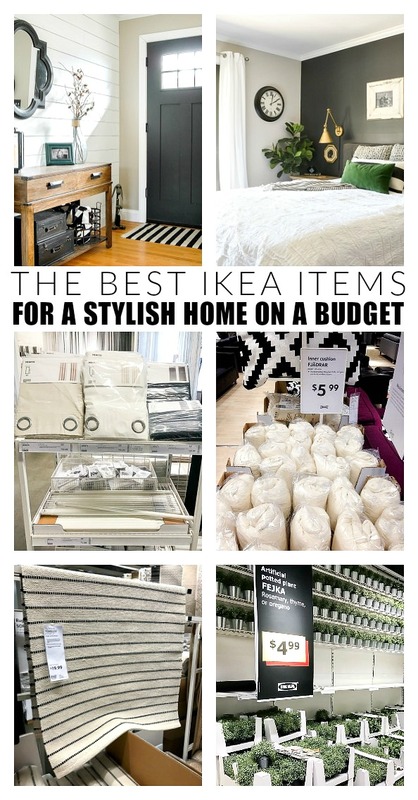 Are you a fan of IKEA? What about IKEA hacks? 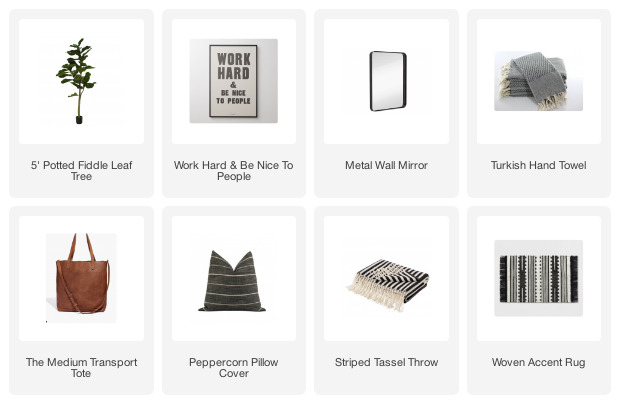 Today, I'm sharing my favorite IKEA products that you can easily update and hack to create beautiful customized furniture and decor. It's no surprise that I'm a huge fan of IKEA. I have a few IKEA pieces in my own home and have even shared my favorite IKEA items for creating a stylish home on a budget. 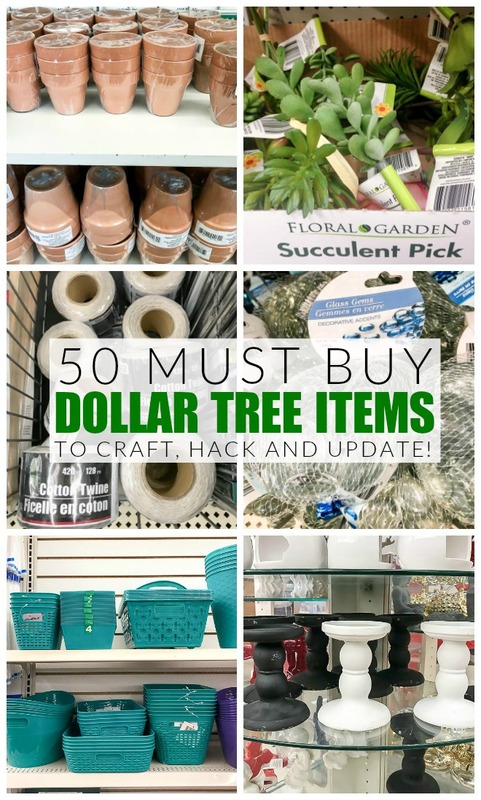 Many IKEA products are perfect as is (I especially love their greenery, frames and white grommet curtains), but many products are also perfect for customizing. 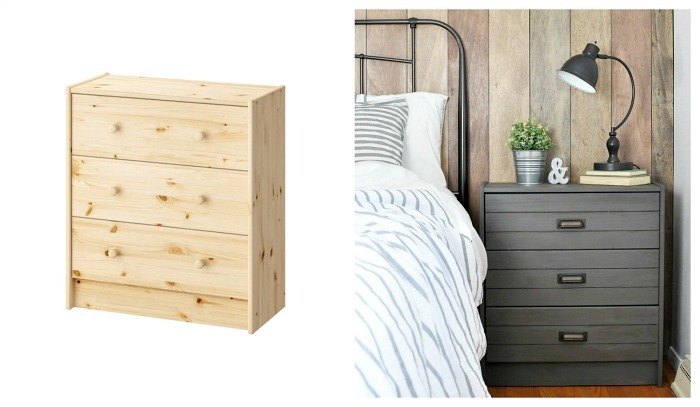 From raw wood furniture to basic storage, I'm sharing the best IKEA products for hacking and updating. Before I get into my favorite IKEA products for updating I wanted to share a few simple tips for making IKEA furniture look customized and high end. 1. Skip the original IKEA hardware and add your own stylish pulls and knobs. 2. Add paint, stain or decorative wallpaper to unfinished wood products. 3. Create the look of custom built-ins with basic IKEA bookcases and wardrobes. 4. Add alternative legs to dressers, tables and desks. Now that you have an idea for HOW to update IKEA furniture and decor, let's look at IKEA products that are perfect for customizing and hacking. 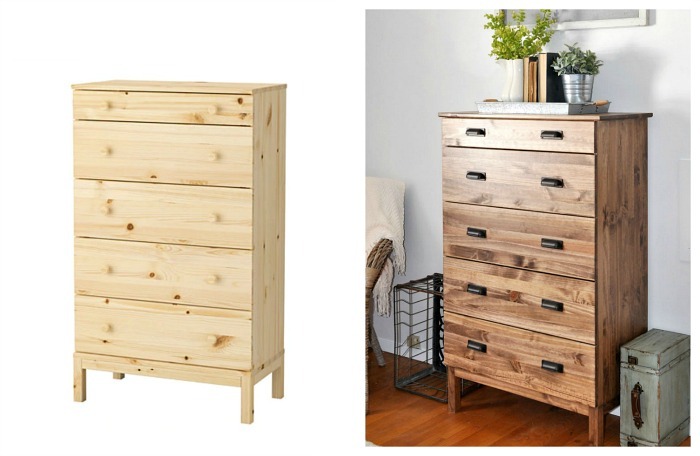 At less than $40, the 3-drawer Rast pine dresser is the perfect size for creating custom bedside tables. The raw wood finish allows it to be easily stained, painted or updated with decorated paper or wallpaper. Add fun legs, pulls or additional wood trim for a more customized look. See the full IKEA Rast hack at Cherished Bliss. Just like the Rast, the Tarva 5 drawer dresser is made of unfinished pine, which is perfect and ready for updating. I love that the Tarva series offers 3 different size dressers as well as a nightstand. See the full IKEA Tarva hack at Cherished Bliss. 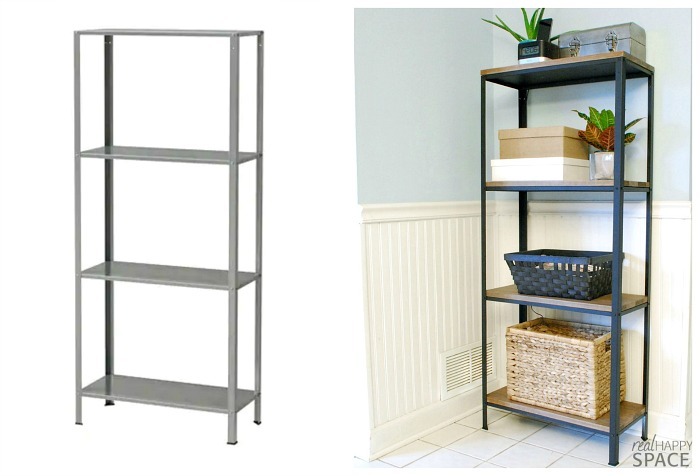 It doesn't get more affordable than a galvanized steel shelving unit for under $15! The HYLLIS is suitable for indoor or outdoor use and can be easily updated with spray paint to match your decor style. Are you looking for a higher end look? Add stained wood planks and you have the perfect functional and stylish storage solution for your home. See the full IKEA Hyllis hack at Remodelaholic. The MOPPE mini storage chest is probably my favorite IKEA item to hack and update. MOPPE storage drawers are made of unfinished pine and come in three different sizes, making them perfect for craft and hardware storage. A little stain and the addition of metal bookplates and knobs (you find my favorite hardware sources HERE) go a long way in transforming these basic wood drawers. See the full IKEA Moppe hack at Little House of Four. Do you love the look of farmhouse tables, but don't love the price or have the skills to build your own? The INGO table from IKEA is the perfect table to customize into your own farmhouse style table. See the full IKEA hack tutorial at East Coast Creative. With different color options available and endless uses, the RASKOG cart from IKEA is versatile and perfect for customizing. See the full IKEA Raskog hack at Little House of Four. 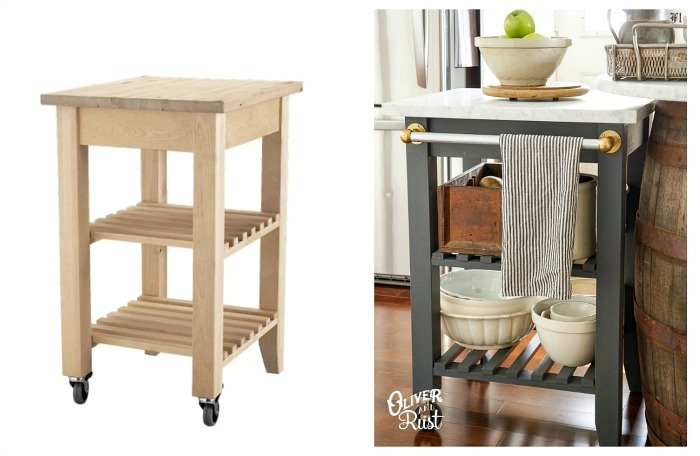 Like many other IKEA products, the BEKVAM kitchen cart comes unfinished and ready for updating. Sand and stand it the same color as your kitchen cabinets, paint it a fun contrasting color or add extra hooks and bars for additional kitchen storage. It's perfect for using as a small kitchen island, but would also be fun turned into a coffee bar. 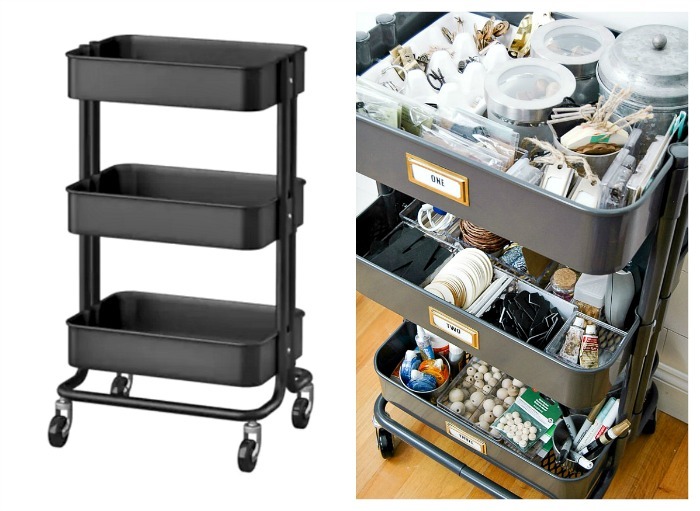 So many great possibilities for this cute little cart. See the full IKEA Bekham hack at Oliver and Rust. Do you love the look of custom built-in cabinets? Good news! 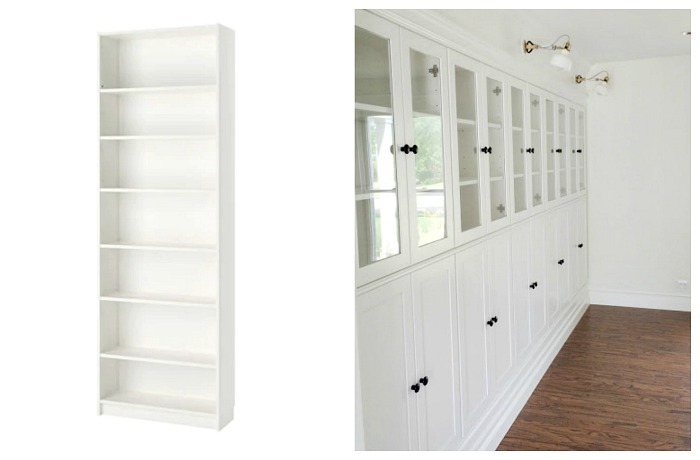 You can get the look of custom built-ins using a variety of the different style BILLY bookcases. See the full IKEA Billy bookcase hack at Avery Street Design. 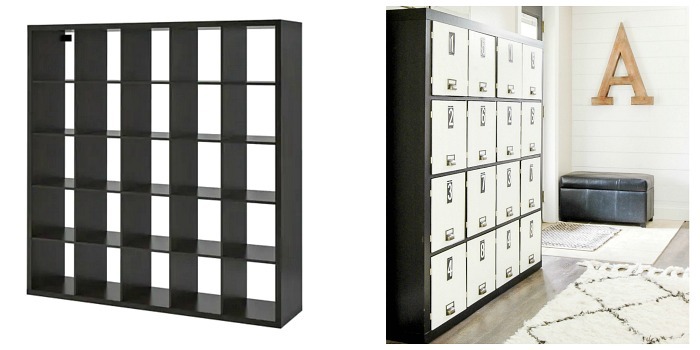 One of my favorite personal IKEA hacks was turning a basic IKEA EXPEDIT bookcase into custom lockers. If you're looking for a simpler EXPEDIT or KALLAX project, IKEA offers a variety of storage bins and doors to create your own custom look. See the full IKEA Expedit bookcase hack at Little House of Four. You can't get much cheaper than $1.99 for five FLYT magazine files. I kept mine simple by adding affordable metal label holders, but you can also spruce them up with scrapbook paper or even thin strips of stained balsa wood for a more expensive look. 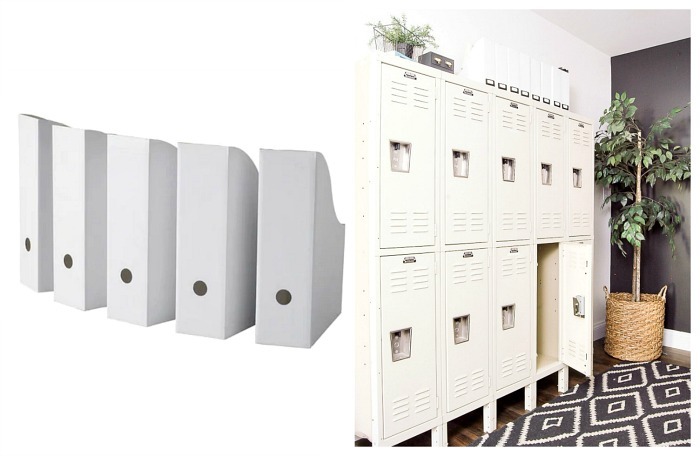 Perfect for small space storage, the IKEA HEMNES shoe compartment is perfect for hacking. Add a custom stained wood or marble top or swap out the original hardware for some fun leather pulls. 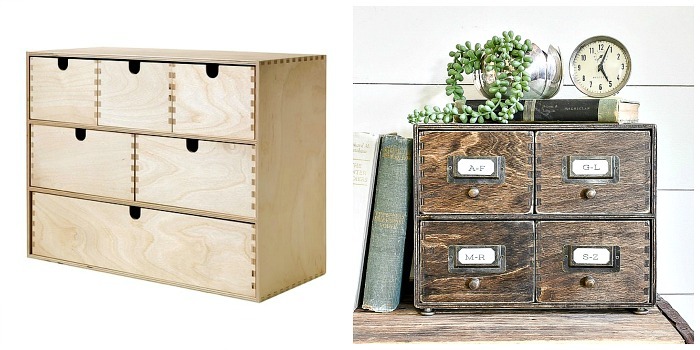 Whatever you decide, this little storage cabinet will make a perfect addition for your home. 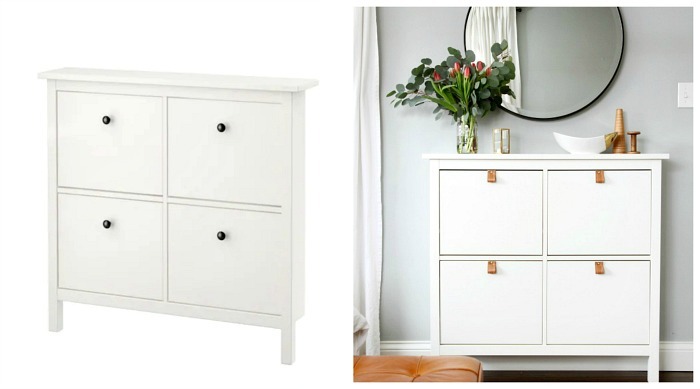 See the full IKEA HEMNES hack at House Tweaking. I love that IKEA has so many awesome and affordable products for tweaking, hacking and updating. It's a great way to create a beautiful home on a budget that perfectly reflects your style. What are your favorite IKEA products to hack?